Zift has proven itself to be a true value-add to Barcode Factory’s overall marketing efforts as well as its relationship with their supplier. “We’re generating more leads and our sales are up dramatically,” said Dombrowski. Additional marketing through Zift should add well over $150,000 in annual sales and the company is opening up multiple large opportunities in RFID and portable print solutions among others. “The ability to co-brand with our supplier has raised the value of our brand with our customers and prospects,” said Dombrowski. Using email campaigns and syndicated content is helping Barcode Factory stay out in front of emerging trends and capture the attention of its target audience easily. “Zift gives us the ability to launch new campaigns with the click of a button,” said Dombrowski. Moving forward, Barcode Factory intends to integrate Zift with its new CRM system in 2016, which will allow them to get leads to its sales team even faster, complete with the information they need to respond to leads faster and ultimately close more deals. 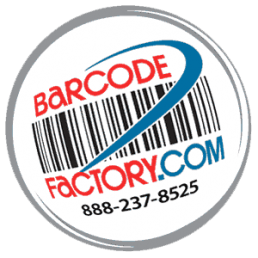 The Barcode Factory manufactures and delivers leading-edge barcode, printing, mobile computing and RFID solutions worldwide. While the company’s marketing efforts are managed by a small group of company executives, the team has long kept one primary goal in mind. “We work together to make sure that we’re always spending marketing funds properly to bring in sales,” said Barcode Factory’s Marketing Director John Dombrowski. Unfortunately, that hasn’t always been an easy task. Before Dombrowski joined the company, Barcode Factory’s efforts to stay in regular contact with their current customers were not being addressed as best possible. “Their focus was more on driving new customers,” said Dombrowski. The firm was resistant to running email campaigns due to their complexity and inability to track and measure results effectively, even when using an email marketing system. Moreover, their manual lead distribution was time-consuming and lacked visibility into prospect activity. Barcode Factory was given access to Marketing Advocate in 2014 and seamlessly transitioned to the Zift Platform post-acquisition. Barcode Factory was introduced to Zift Solutions in 2015 and they haven’t looked back. “Marketing Advocate was nice, but the Zift Solutions interface is just gorgeous and the Platform is so easy to use,” said Dombrowski. Dynamic syndicated content updates automatically, infusing product-specific, vertical and industry-relevant content throughout Barcode Factory’s website and making it easy for the company to stay ahead of the curve on topics ranging from “Saving Time and Money with Intelligent Yard Management” to “Choosing the Right Mobile Device” – all without lifting a finger. The Barcode Factory manufactures stock and custom labels for thermal printers, thermal ribbons and all labeling applications. The company also resells an array of printers, mobile computing, barcode scanning and software solutions along with RFID encoding and read/write systems, antennas, readers and RFID labels and tags. Learn more at www.BarcodeFactory.com.